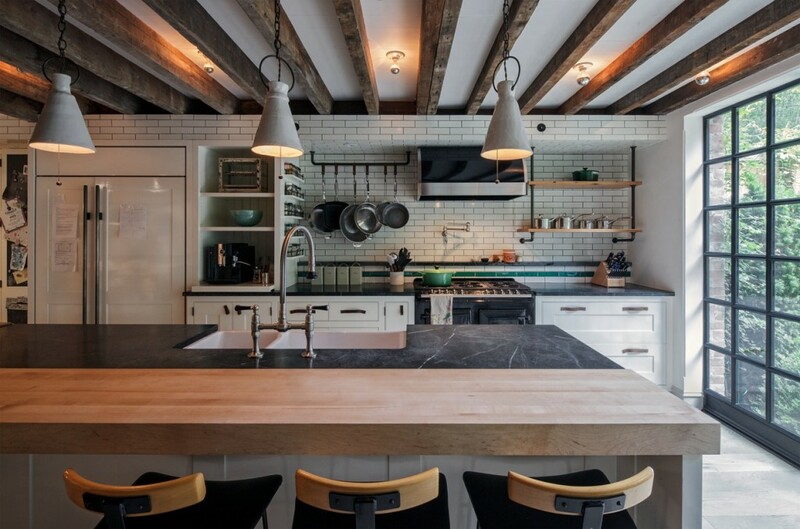 Simply put, this historic Greenwich Village property, designed by BW Architects, is amazing. A sophisticated balance of design elements that blend the old with the new are incorporated throughout the 4000-square-foot home. 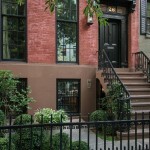 And not only is it beautiful, but the 1840s townhome underwent an extensive reconstruction project, completed in 2012, that made it the first townhouse in downtown Manhattan to earn a LEED for Homes Gold rating. And have we mentioned its incredible rooftop office? 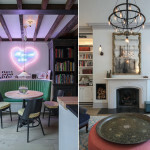 The kitchen’s seating area features a plush green leather booth accented with a modern neon sign, and is a perfect example of this modern meets old juxtaposition of styles. The same aesthetic can be found in the living room that includes a classic fireplace, ornate gold framed mirror and clever modern storage spaces. 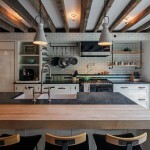 The raw wooden beams running parallel across the ceiling combined with iron hardware accents give the kitchen a more rustic and industrial feel. 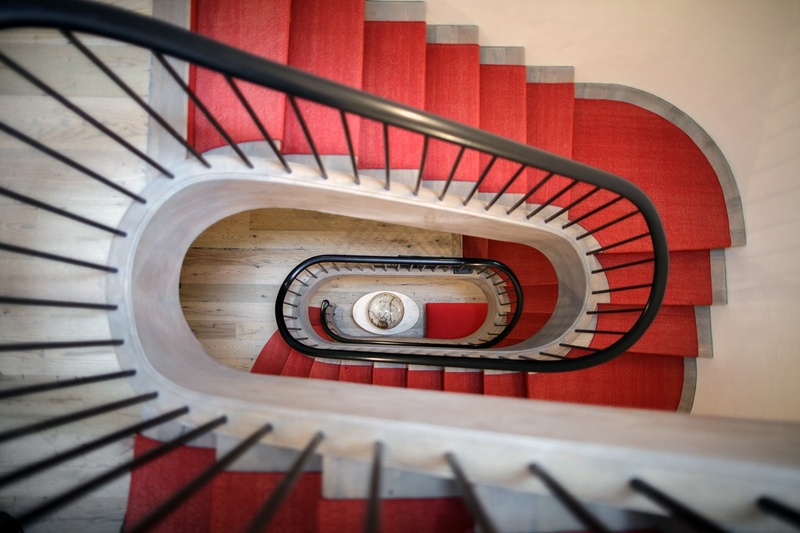 The home’s massive staircase is laid with vibrant red carpeting creating a dramatic spiral of line and color when viewed from the top. 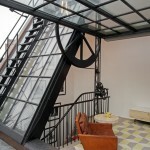 A skylight located at the top of the four-story stairwell funnels daylight throughout the home. The top floor of this home is occupied by an impressive penthouse that has direct access to it’s charming rooftop through a massive windowed wall. 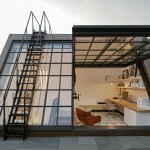 When opened the pivoting glass and steel wall provides full exposure to all if the outdoor elements. 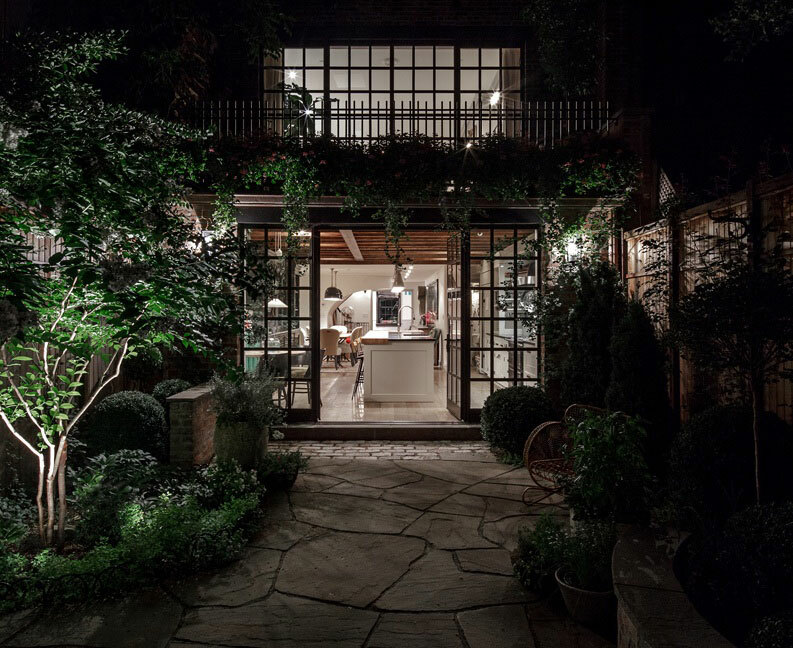 The home’s exterior is directly inline with it’s sophisticated interior. 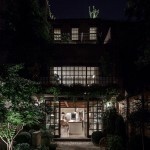 The front stoop boasts the classical stylings of old New York, and this home gets additional bonus points for its gorgeous garden filled with a variety of vibrant greenery. We love this home and would like to move in immediately! 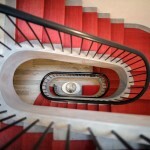 Visit BWA Architects‘ site to see other projects. 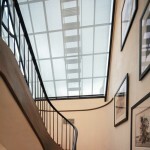 Images courtesy of BWA Architects. 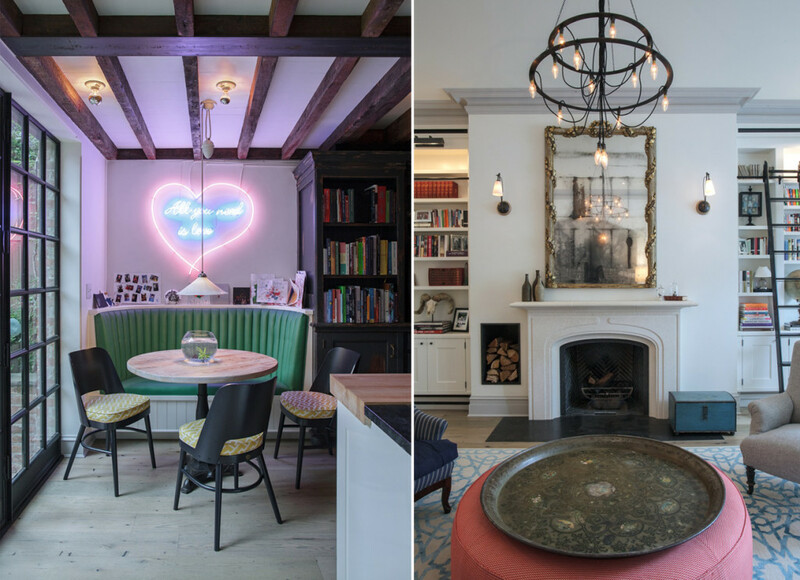 Hmm – what can I do with my place if I don’t have $20 Mil?